Thanksgiving means different things to different people. Some are most excited about the rich and delicious food, others most look forward to gathering together with family and friends, and still others anticipate football more than anything! Regardless of what you have planned for the upcoming holiday, take a little bit of time to think about how you can make this day of busyness and overindulgence less overwhelming for your body. Once your meal is over, consider keeping the turkey bones to make a bone broth. Bone broths are heavy hitters in Traditional Chinese Medicine, providing essential nutrients in an easy-to-digest form. You can find recipes online, but really all you need to do is place the bones in a slow-cooker with a few vegetables (mushroom, celery, and carrots are our favorites), a dash of apple cider vinegar, some salt and pepper, and enough water to fill the slow-cooker to the brim. Let everything cook for a day, strain to separate the liquid from the pieces, refrigerate, skim the fat off the top, and drink! 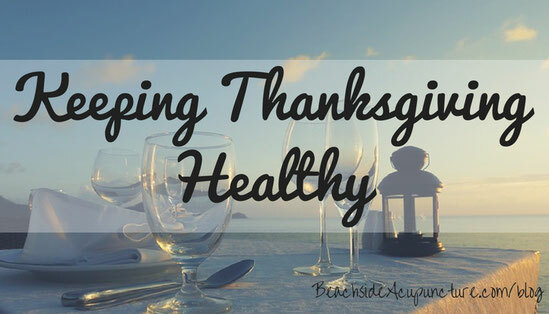 Outside of the food itself, there are a few other things you can do to make this your healthiest and most enjoyable Thanksgiving yet. The first is to practice mindfulness. All this means is taking the extra time to savor everything going on around you. Drink in the sound of your kids' laughter, let the aromas from the kitchen warm you inside and out, and chew your food slowly to really appreciate its richness. The second is to practice gratitude, which is a given with this holiday in particular. If your family is one that takes turns expressing thanks aloud at the dinner table, add more meaning to the tradition by being very specific and attaching feelings to what you're sharing. If your family doesn't participate in this kind of sharing, at least make a mental list of things for which you are particularly grateful and focus on them throughout the day. Finally, support your body's digestive system after your meal. Being mindful should keep you from overeating as much as usual...but even the best of us can overdo it during the holidays. 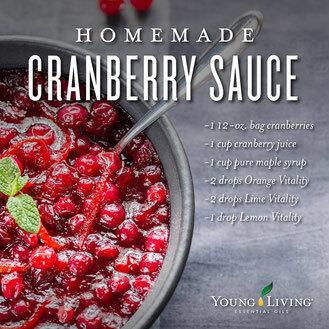 Use essential oils like Peppermint and DiGize and/or take digestive enzymes after your meal to help your body digest your food more comfortably. We hope you have a safe, happy, and healthy Thanksgiving and wish you and your families all the best through the holiday season!